A former working men’s club in Gateshead is being transformed into a 1200sq ft state of the art commercial film and television studio. Jam Jar Studios is the brainchild of Chris Taylor, the founder and commercial director of video marketing agency, Superkrush. 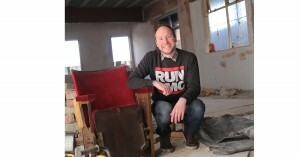 The space has been designed by architects, Simon Grundy Ltd, which was also behind Generator Studios in Newcastle. There will be a total of 8 units, which Taylor hopes will promote collaboration. “The North East lacks purpose built, commercial studio space and businesses are forced to go elsewhere to find what they need which undoubtedly detracts from the regional economy,” added John Tulip, managing director at Northern Film & Media. The facility will be available to hire from April.